A majority of the residential, commercial, and industrial properties in Edmond, Oklahoma and surrounding areas were built at least thirty to forty years ago. Many of them are near or even at the end of their sewer system’s life expectancy. The underground network of pipes that carry raw sewage and wastewater from your real estate to the city’s main sewer line, or a septic tank buried somewhere on the property were not designed to last forever, and a failure can be an expensive catastrophe. Although sewer repair is certainly not something that you may have planned for, or even thought about, it is a reality that many of us need to face. On that note, being informed about this issue beforehand is the best way to be sure you can handle any problem. There are sewer repair options available to you, and the following information will explain so you can make an educated choice when it is time to have the sewer repaired. Plumbing contractors have been using the traditional sewer repair method since long before hydraulic excavation equipment was invented many years ago. It requires digging a large trench along the sewer pipeline in order to access pipes for repair. 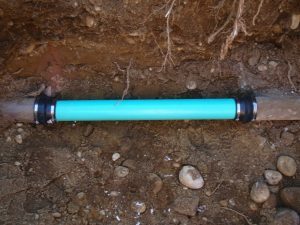 Although this method is effective at fixing the sewer pipeline, it takes a long time to complete, is extremely expensive, and does an excessive amount of damage to the landscaping and hardscaping. Basically, the trench destroys anything located above the sewer pipeline. Once the plumbing contractor completes their work, they are only responsible to fill in the trench with dirt. Repairing the areas of the yard, driveway, or parking lot that the trench destroyed is the responsibility of the property owner. When all is said and done the traditional sewer repair method can take multiple weeks to complete, and may even cost well over $25,000. In addition, your landscaping and hardscaping may never look the same again. The trenchless sewer repair method was invented approximately fifteen years ago to solve this problem. Since that time Nu Flow Technologies has improved the process by providing the plumbing industry with the best materials, equipment, and training available on the market. The Nu Flow method does not require any major excavation. Your landscaping and hardscaping are safe from destruction. A small access point is made at one end of the sewer pipeline. A high-tech machine then uses the access point to install a bladder and epoxy resin soaked felt liner into the existing sewer pipeline. The bladder is filled with air and left in place until the epoxy resin cures in place. At that point, it is deflated and removed from the existing sewer pipeline. What is left is a brand new pipe that is located within the existing sewer pipeline. The new pipe within a pipe seals any breaks, cracks, and leaks, as well as preventing them from occurring in the future. The entire Nu Drain process takes as little as one day to complete from start to finish. Unlike the traditional sewer repair method, it is non-invasive, meaning it will not ruin your yard, driveway, walkway, patio, or parking lot to name a few. Perhaps the best part is that the trenchless Nu Flow sewer repair approach costs aabout fifty percent less than the traditional method. Nu Flow Technologies has been at the forefront of progressive plumbing technologies since the company was founded in 1998. 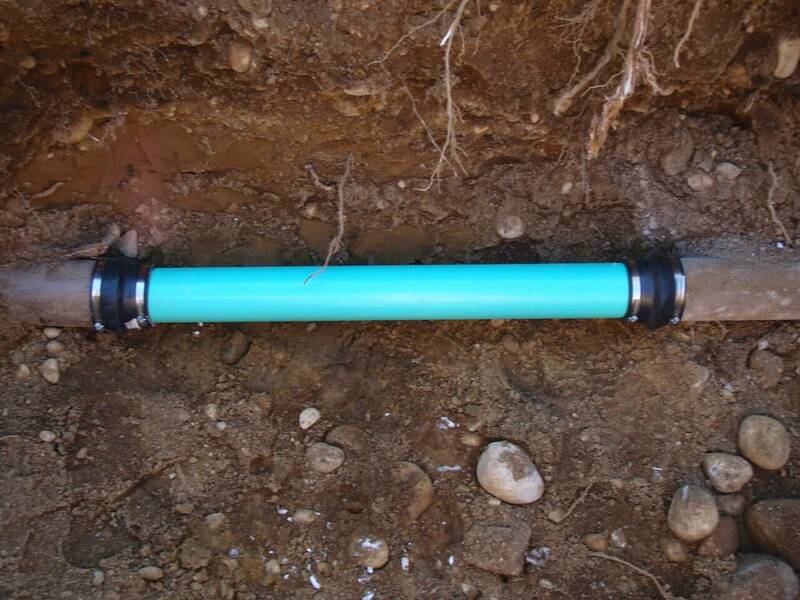 We continue to provide you with the most recent advances in the trenchless plumbing industry to this day.